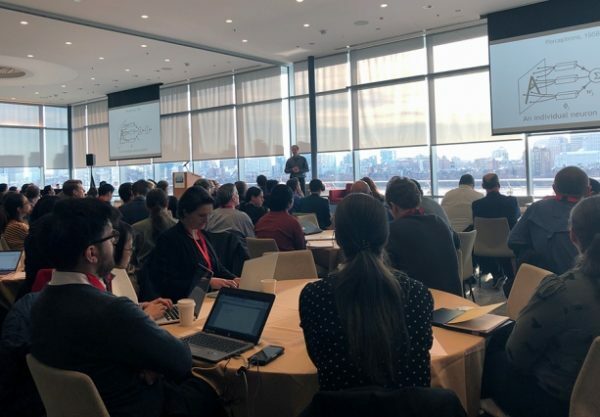 On January 18, scientists and policymakers came together at the first MIT AI Policy Congress. They discussed how to build up the opportunities of AI while grappling with big challenges. The MIT Internet Policy Research Initiative (IPRI) held the MIT AI Policy Congress, alongside a two-day meeting of the Organization for Economic Cooperation and Development (OECD). One big idea highlighted at this event is that AI policymaking can be quite different between industries. The forum focused on many areas including transportation and safety, medicine, labor, criminal justice, and national security. As part of the event, experts of Artificial Intelligence expert group at the OECD (AIGO) were trained about machine learning in a half-day with a “trainer” – Prof. Hal Abelson, the Class of 1922 Professor of Computer Science and Engineering at MIT. AIGO is made up of experts from OECD member countries and think tanks, business, civil society and labour associations and other international organisations which providing guidance in scoping principles for artificial intelligence in society. The two of active members in AIGO are Mr. Nguyen Anh Tuan – Director of The Michael Dukakis Institute for Leadership and Innovation (MDI), Co-founder and Chief Executive Officer of The Boston Global Forum (BGF) and Marc Rotenberg – President and Executive Director of the Electronic Privacy Information Center (EPIC), Member of AIWS Standards and Practice Committee, Michael Dukakis Institute.